“As well as being in the ideal demographic of our customers, Brent has many of the attributes that Merrion Vaults, as a brand, have and want to portray to the public. He is respected in his field, he is a true professional and with a natural air of security about him he fits in with our Brand values perfectly…plus people genuinely like the man.” says Doolin. 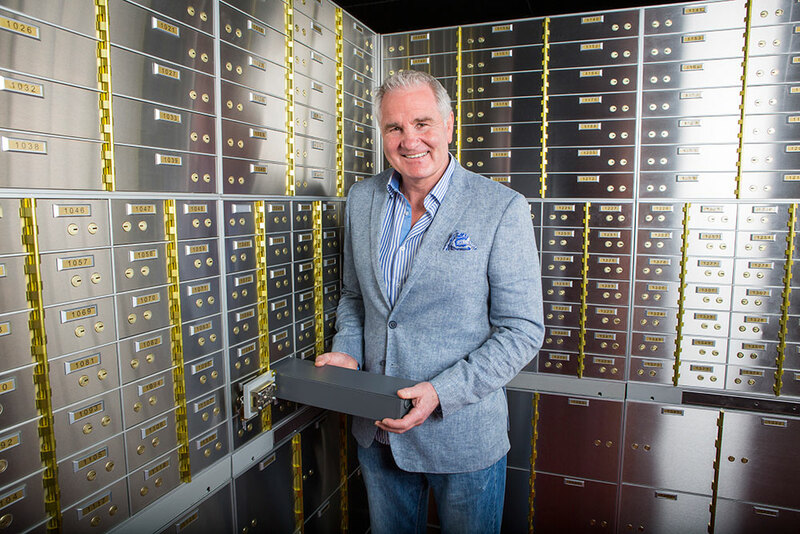 Brent has also now taken steps to make his home more secure – but as he says himself – with his valuables now stored safely and securely in Merrion Vaults he now has “Peace of mind”. “The simple fact is; using Merrion Vaults is safer than home!” said Pope. Merrion Vaults are Ireland’s No. 1 Safe Deposit Box Facility and offer secure and private safekeeping for customers valuables. With solutions for everyone – from the starter-box (at £150 per year) perfect for jewellery, cash and smaller items.